Tokina opera 16-28mm F2.8 FF. The second lens in the new “opera” line of lenses for full-frame DSLRs is the Tokina opera 16-28mm F2.8 FF, with a versatile wide-angle zoom range ideal for landscape photography. It will be offered in both Canon and Nikon mounts, and though optimized for use with full-frame cameras, it can also be used with APS-C DSLRs, providing a 35mm-equivalent focal length range of approximately 24-42mm. It can focus on objects as close as 11 inches, and features Tokina’s One-Touch Focus Clutch Mechanism which enables seamless switching between auto and manual focus. The lens is also rectilinear, eliminating the curvature of straight lines that can occur at wide-angle focal lengths. The Tokina opera 16-28mm F2.8 FF will be available on March 15, but preorders start today with an estimated street price of $699. Check out the Tokina opera 16-28mm f/2.8 FF Lens for Canon EF on B&H! 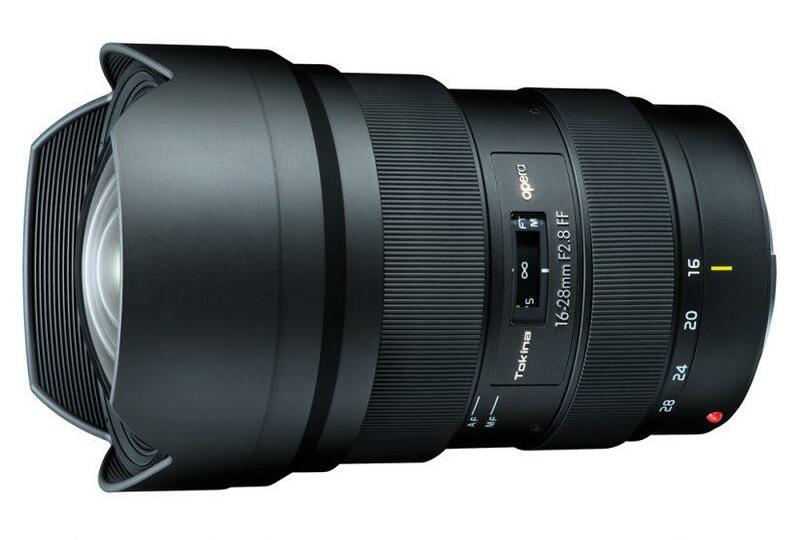 Check out the Tokina opera 16-28mm f/2.8 FF Lens for Nikon F on B&H! Be the first to comment on "Kenko Tokina Introduces Tokina opera 16-28mm F2.8 FF"